Well, the case of the missing white iPhone 4 has finally received a response from on high. Apple has issued a press release saying that the white model of the new device has “proven more challenging to manufacture than expected.” It won’t become available until the second half of July. Bloggers and conspiracy theorists have enjoyed speculating about the delay in the white iPhone which was listed as “currently unavailable for pre-order or in-store pickup” when pre-orders began last week. As many have noted, the early iPhone reviews in The Wall Street Journal and in The New York Times have included photos of the white model, perhaps indicating that those reviewers received the model still not available to the public. Back in 2008, when the first white iPhone 3G was released, a number of users (including me) noticed cracks appearing in the plastic case. Of course, the iPhone 4’s back and front are made of glass; we can only theorize why it is that the color white presents manufacturing issues. 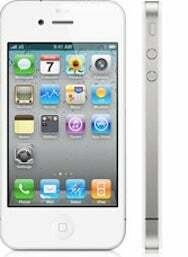 But with all the mystery, the white iPhone might be pretty coveted when it finally becomes available. In typically terse fashion, Apple ends its press release saying that despite the problems with the white model, “availability of the more popular iPhone 4 black models is not affected.” Of course, it’s a little hard to say with a straight face that the black one is more popular if it’s the only one available, no?